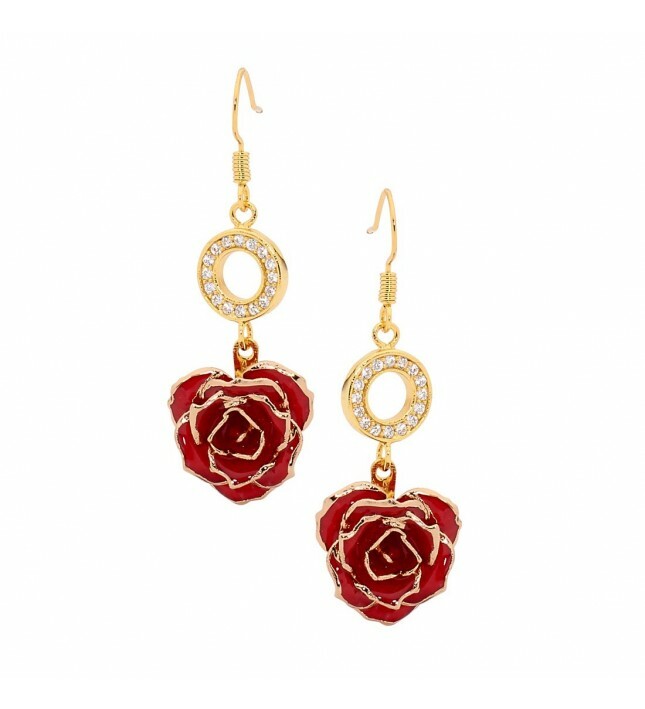 • These elegant earrings are made from a combination of genuine 24 karat gold and beautiful natural miniature red rose petals. 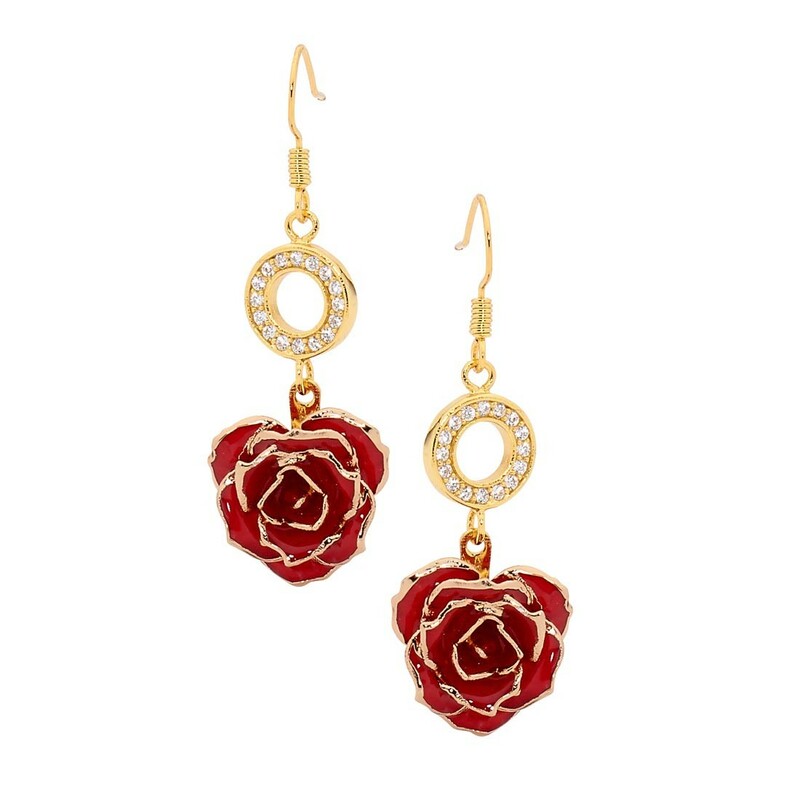 Skilfully crafted from real miniature red rose petals and trimmed with fine 24 karat gold, these pretty earrings have a drop-length of approximately 1 5/8" with a beautiful 16 synthetic diamond-encrusted ringlet. 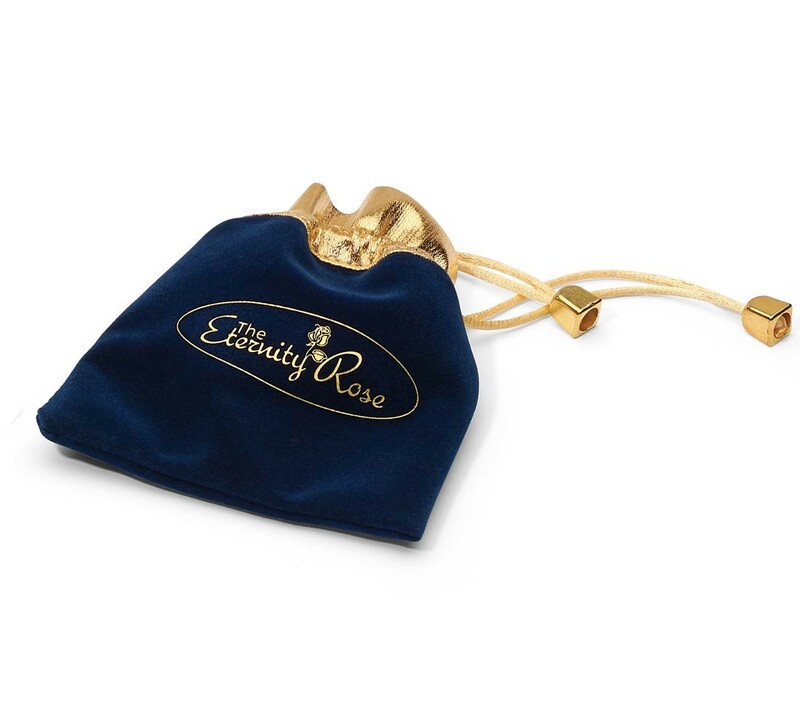 Each pair of earrings is hand-made to superior standards.